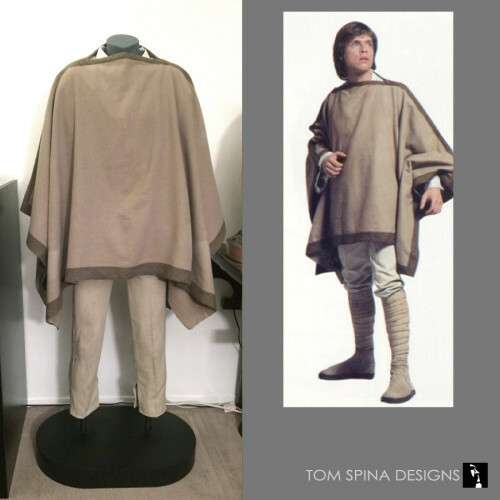 A custom mannequin in a museum style for a truly iconic movie costume – Mark Hamill’s screen worn Luke Skywalker costume from Star Wars, A New Hope! 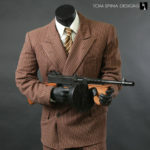 This is, by far, one of the coolest movie costumes we’ve ever gotten to create a custom mannequin for! What you see here are amazing wardrobe pieces from Mark Hamill’s original, screen worn Luke Skywalker costume from Star Wars, A New Hope (1977)! 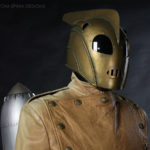 Our client is a private collector of original movie props and costumes. He managed to separately source the original poncho and trousers/pants that Hamill wore in the classic sci-fi blockbuster and sent them to our company to create a life-sized display. Rather than try to do a statue or wax figure look, we wanted to keep the focus on the costume itself. After all, when it comes to Star Wars costumes, having a main character like Luke Skywalker is impressive enough! So we created a custom mannequin made to Mark Hamill’s measurements at the time of filming. Rather than try to add replica boots, or worse, leave bare mannequin “feet” sticking out of the trousers, we used subtle black posts in place of feet. This raised the figure up to the right height while keeping the look very clean and classy. 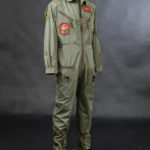 We added one small element UNDER the original movie costume and that was a replica of the space farm boy shirt that Hamill wore. This was to help the torso of the mannequin better fill out the Luke poncho and to create a tiny pop of light color fabric around the collar to balance and visually complete the costume a touch. 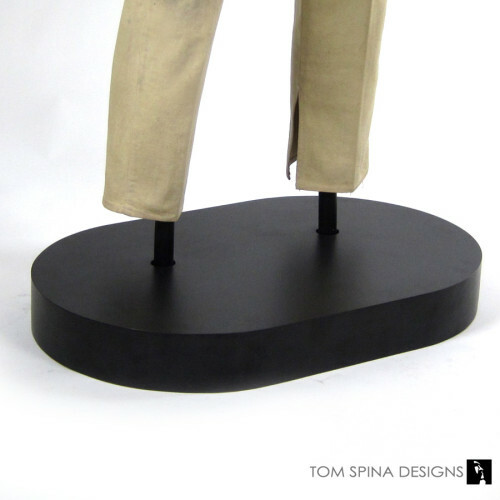 The base is a bit of custom millwork, a racetrack oval in black laminate and it completes our museum look for this screen used Luke Skywalker costume display! The end result is a beautiful display worthy of the iconic costume it supports!